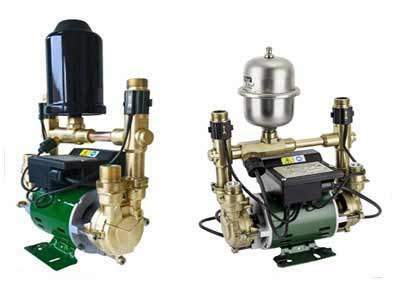 At Pump Repair Dublin we offer a repair service to water pumps and the most common types of shower pumps throughout the Dublin area and the main pumps that we repair are the Stuart Turner and Grundfos and Monsoon water pump range. In the Dublin area alone there are thousands of water pumps installed in homes and business and these pumps are working constantly to pump water throughout your property. As with any piece of equipment in the home there comes a time when you will need to get a repair on your pump. We have vans out on the road each day covering all of Dublin for Monsoon and Stuart Turner shower water pump repairs. We also carry spare new pumps and reconditioned pumps in our vans for pump replacements. If for some reason we cannot repair your water pump we can give you the choice of a replacement pump. We at Pump Repair Dublin have fully trained engineers in domestic water pumps. To show our confidence in this if your pump can not be fixed there is NO charge. There are many types of domestic water pumps and these include Positive Head Water pumps, Negative Head Pumps and Single head pumps. Whether your water pump is seized, motor is burned out or even if the PCB board has blown these can all be fixed at a low cost. Get your pump repaired today. Most Stuart Turner/Monsoon water pumps are very good and built to last, there should be no reason why you don’t get 20 years out of them so long as they are maintained.